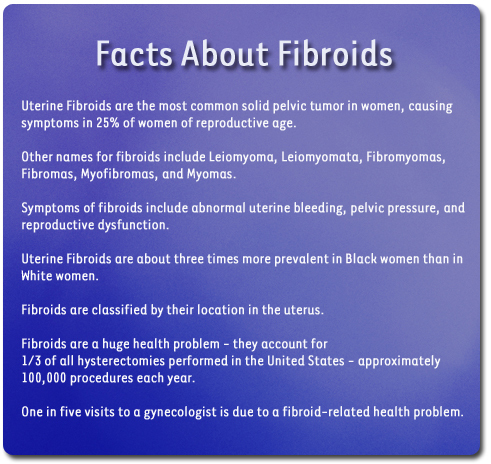 Fibroids are more common among Black women. Our research shows that Black women are significantly younger in age at diagnosis of fibroids, have fewer days between periods, and experience more severe menstrual pain compared to White women. Read more about our research. Due to the health disaprity of uterine fibroids for Black women, it is critical for Black women to participate in clinical research studies so we can identify the underlying causes. Learn more about this study and find out if you might be eligible to participate. We are currently enrolling families in the "Finding Genes for Fibroids" and "COMPARE-UF" studies, two clinical research studies aimed at identifying the causes of uterine fibroids and optimal treatments. Find out more about our research and see if you might be eligible to participate in one of our current studies. Learn more about uterine fibroids from a scientific perspective rooted in research conducted at Brigham and Women's Hospital. Get information about fibroid signs and symptoms, treatment options, and theories of fibroid formation. For nearly 175 years, Brigham and Women's Hospital has been the most trusted name in women's health - a world leader in helping women live longer, healthier lives. Get connected to clinical care at Brigham and Women's Hospital. Watch a video about Uterine Fibroids and clinical care and treatment options at Brigham and Women's Hospital.